Doodhsagar Waterfall.. The unexpected journey. The first few things that comes to your mind after listening to that word are beaches, clubs, casinos, and of course Drinks. However, Goa is a lot more than just that stereotype. The Greenery of Monsoon will take your breathe away on any given day provided you are a true nature lover. 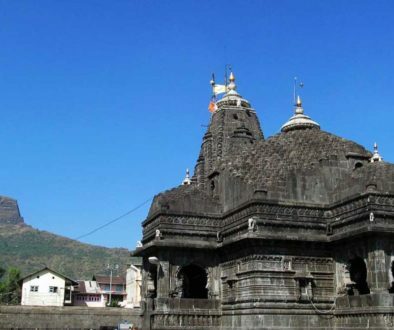 The temples here are historic and divine that you will actually feel the peace from within. The churches of Portuguese era will mesmerize you with its architecture and calmness. The Portuguese styled houses renowned for its unique design can get sold for crores on any given day. 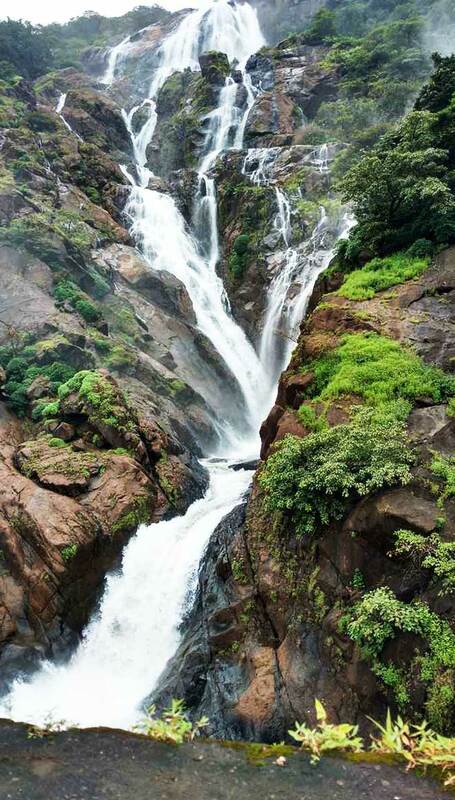 Apart from all these Goa is also known for some of the picturesque waterfalls that can be spotted during monsoons. 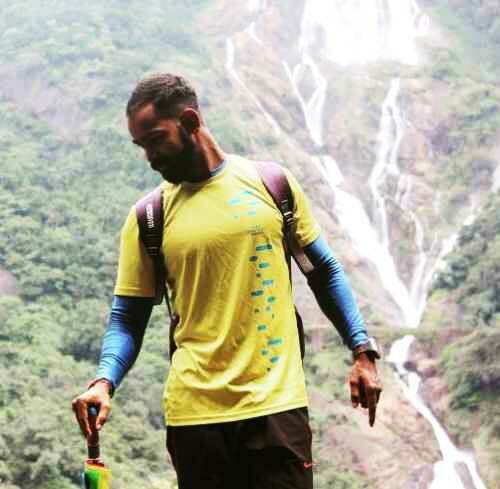 Being a nature trekker I have covered most of the waterfalls through some scenic jungle route all across Goa, but the Doodhsagar waterfall was alluding me since many years. Doodhsagar, as the name suggests, translates to Ocean of Milk and is very renowned waterfall not just in Goa, but across India. Doodhsagar Falls is a four-tiered waterfall located in the Western Ghats on the Goa-Karnataka border and is India’s 5th Tallest waterfall. 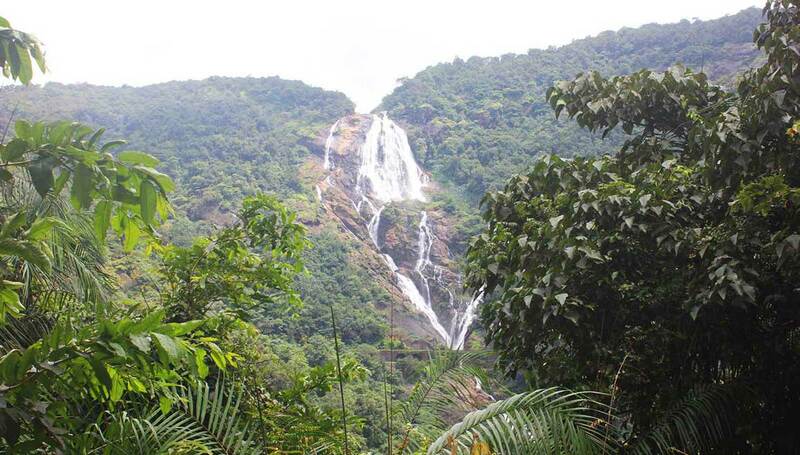 Doodhsagar falls is one of the most visited places in Goa. Those who have seen the Shahrukh and Deepika starrer “Chennai Express” will remember this waterfall without fail. 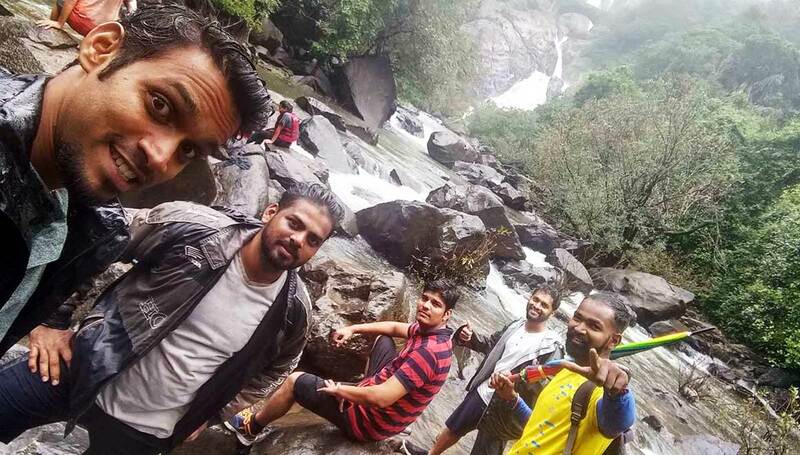 As a friend of ours had returned from Abroad after many years we thought of going out for some leisure time, but Doodhsagar was never in the plan, it just happened that the idea of adventure came to our mind and without a foolproof plan. We left for this unexpected journey. IT was Sunday, we started at 5.00 am from our Mapusa for a road journey of about 80kms to Kulem railway station with a pitstop of about half an hour for the breakfast. A car journey is always nostalgic and hilarious if you end up traveling with your classmate friends and so was the case with us. We didn’t even realize how quickly we covered the distance to reach the starting point of the walk to the waterfall. As we arrived the Kulem station, we purchased fruits and water bottles and ORS to kill our hunger and thirst which we would have surely suffered on the way. Meanwhile, some people hurried at us offering us bike ride along the railway track and through thick jungle for waterfall sightseeing. But we declined that as we had to experience the walking through the jungle kind of feeling. The walk along the railway track which we started with 200% excitement began at about 8.00 am. 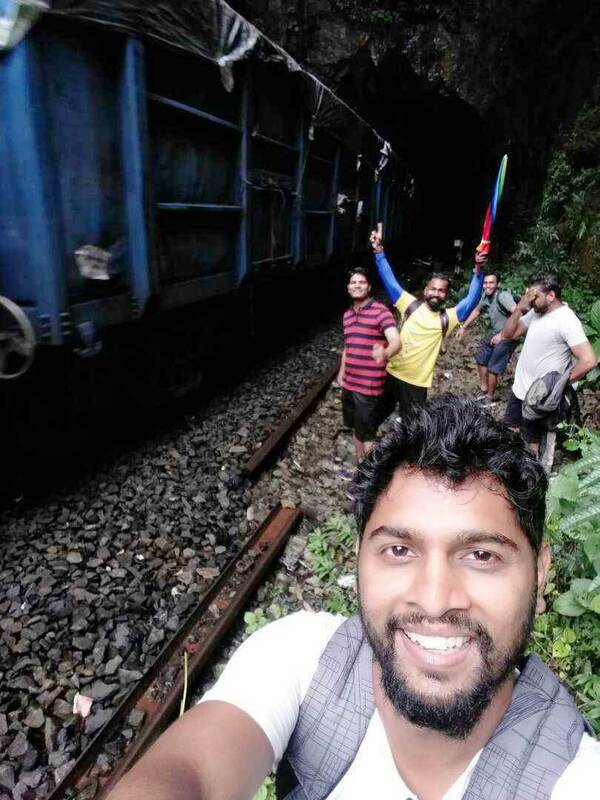 We had to walk from Kulem station towards the Castlerock station which falls in Karnataka. The waterfall is right between both these stations. The fast-moving feets got slowed down a bit after few 100 meters as we entered thick forest. Gradually Sound of Water gushing somewhere in the forest, birds chirping and occasionally a train passing by and we waving hands at the passengers became a common affair. Strangers waving hands at strangers Ohh! that was soo childish. The legs had started getting tired after covering some 7-8kms but we kept pushing ourselves. 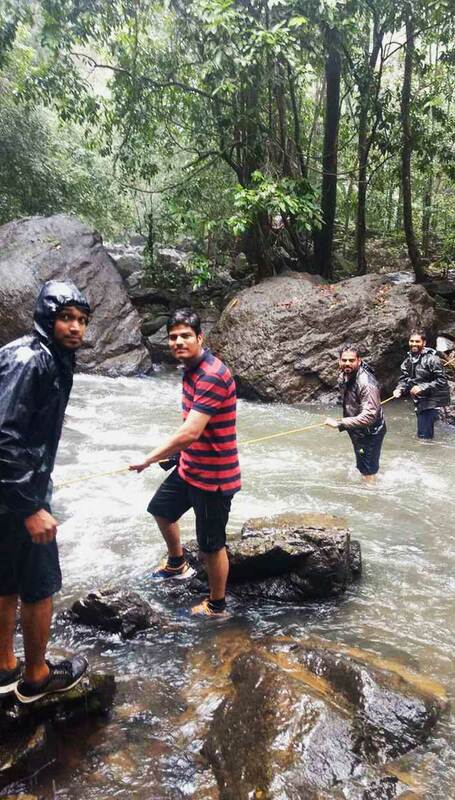 As we reached Sonalium station en route Doodhsagar we spotted a group of 15-20 youth comprising both boys and girls returning back to the start point without witnessing the waterfall, after enquiring we found that few girls had injured themselves and didn’t want to continue with bruises on their knees, pity the entire squad had to give up the journey. The expression on their faces could sum up the situation. As we proceeded further wherein we encountered multiple tunnels of various lengths full dark and spooky. 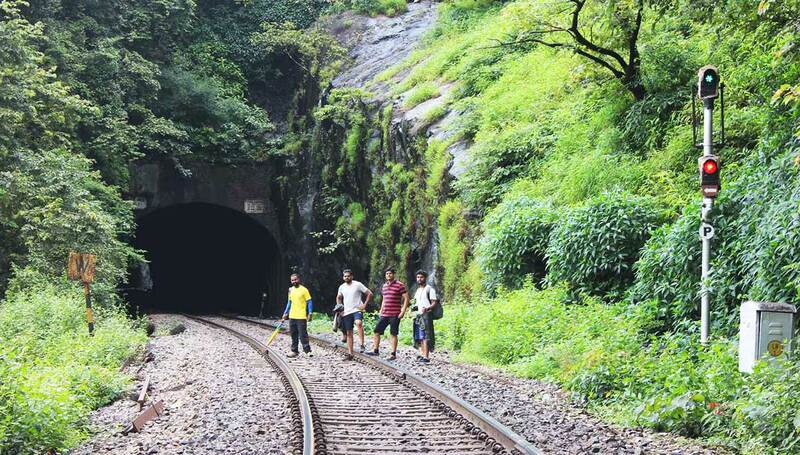 The one most funniest tunnel incident was when we were approached by a goods train while crossing the tunnel and we ran like as if being chased by tigers just to avoid any confrontation with the train inside the tunnel. We laughed throughout the day remembering that incident. By now we had finished half of our fruits n stock of water but the waterfall was nowhere to be seen. Just then we got a sneak peek of the waterfall from a distance of couple of kilometers and it was a relaxing moment that gave us an extra push to reach our destination. After 4 hours walk through the jungle coming across Monkeys, Beehives, strange creatures, beautiful birds, dead snakes n frogs we had finally reached the God’s magical creation only to be stopped by couple of of Railway police guards, asking us not to go any further. 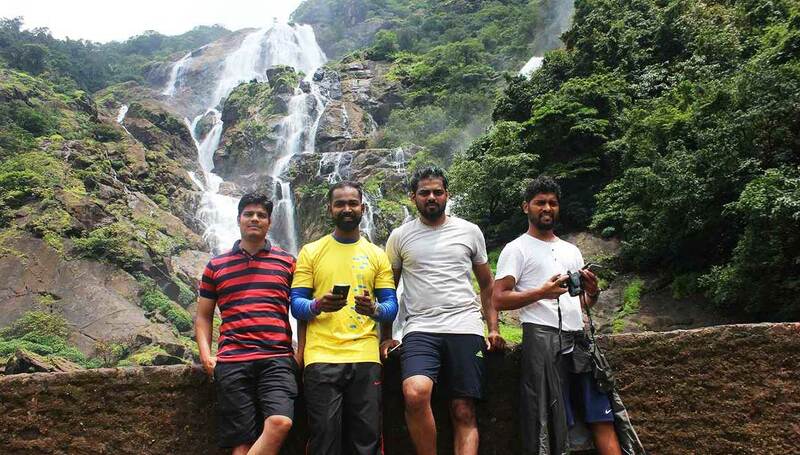 We couldn’t believe we ran out of our luck even before clicking a picture with the waterfall. 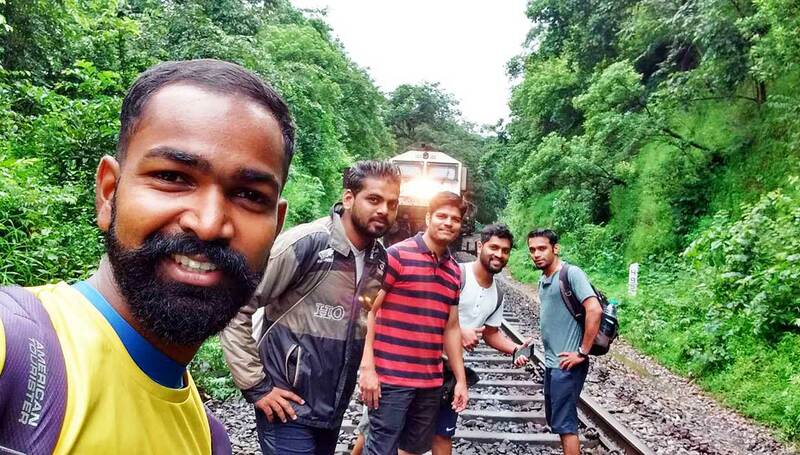 The railway police narrated us the stories from past of carelessness leading to accidents and subsequent deaths which made them stricter against tourists. However after a lot of requests, convincing and chit chats they finally agreed to let us go near the fall for few minutes and that’s all what we needed. Another incident that made the trip memorable was getting robbed by monkeys. A friend carrying spare clothes and fruits in the bag kept it aside and got busy clicking pictures only to realize after returning that it has been taken away by monkeys. We tried looking for it but all in vain. 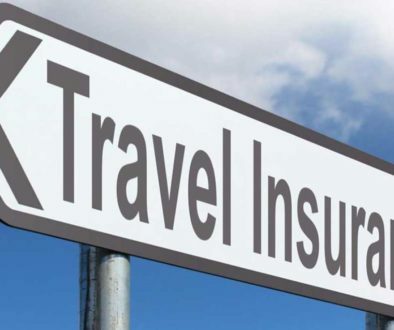 We thanked God that there was no mobile or wallet inside left behind otherwise it would have ended as the most regretted trip for him. After the eye soothing experience, we bid adieu to the Railway Cops and began our journey to the foothill of the waterfall, this was a bit tricky route as we didn’t know which passage to take to go downhill but just then we saw few tourists coming out of the thick jungle and we got the way. We followed their trail and within 30 minutes walk in the rain through the dense, slippery and muddy forest we were at the spot we arrived at the foothills where the water was crushing on to the lake below. The flow of the water was strong and increasing steadily as the rain had started picking up. we walked through the flow with the help of ropes and support of each other for a better view. 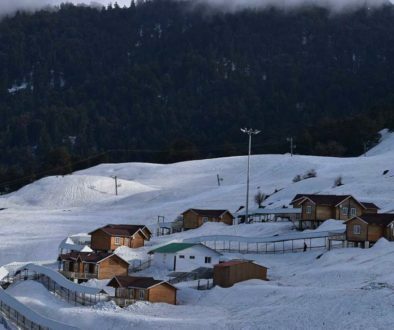 Just like any Hill station the Top of the hill was covered with thick fog and it gave the impression like somebody is pouring jar full of milk on mother earth from the heavens. It was a mesmerizing and spectacular view of water pouring down at the foot of the hill and touching your feet and continuing its journey to meet the Arabian sea. As it was already 3.00 pm and we had no plans of getting lost in the jungle so we decided to head back towards the point where we started from in the morning, before it could get dark. The return journey was, of course, going to be tiring and slow and that is it was. This time we chose to walk back using the Kaccha Road made by the Locals who ferry people to the waterfall in their Jeeps, as the ferry service had not begun the pathway was comparatively better but ruined at certain places. This route is used only by local Jeeps and bikes for the sole purpose of ferrying the tourists and remain closed during monsoon. 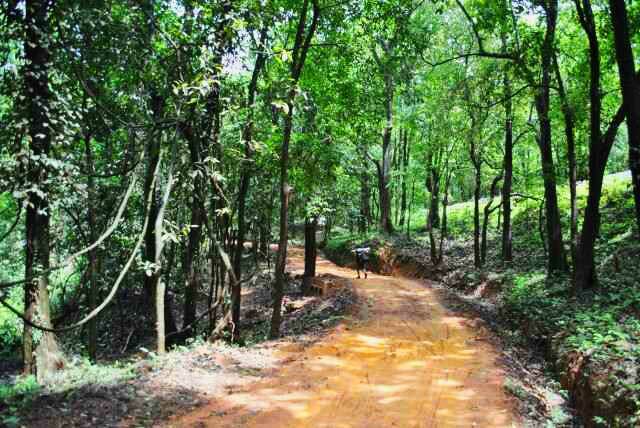 This path makes you come across a temple dedicated to the Goddess Doodhsagar. 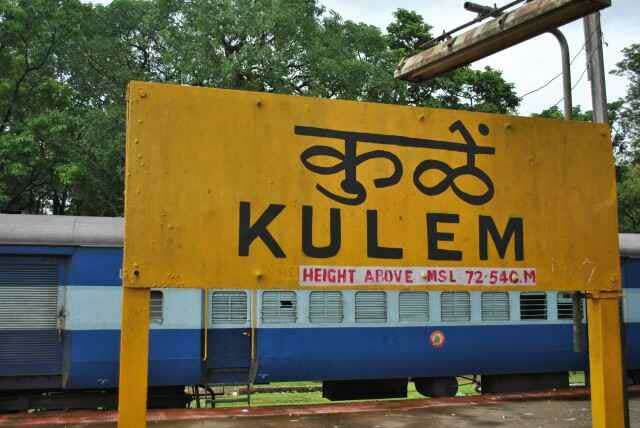 After the tiring walk of hours, we finally reached back to the Kulem station and thus came to an end to our 24+km and 8hrs long gruesome trekking Experience. By far our best experience within Goa. The Memories, the scenery and the beauty captured by the eyes and the lens will be long lasting for sure..
Maybe Doodhsagar waterfall again in a couple of years, but from Castlerock station. This adventurous story is written and experience by Din Redkar.